There are no messages on The Law App Online's profile yet. 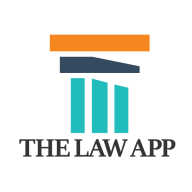 The Law App was created to give everyone access to the lawyers they want at a price they can afford. It’s not that we believe that lawyers always charge too much for their services it’s just that we can provide a way for lawyers to reduce their substantial costs and charge out rates by providing a cost effective place to advertise and a way to reduce their running costs so they can pass the savings on to clients.